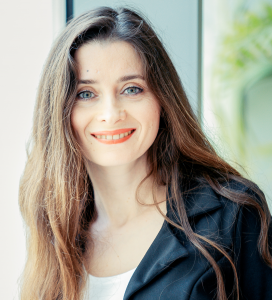 Dr. Alina Karabchevsky is a Senior Lecturer (Assistant Professor) at Electrooptics and Photonics Department of Ben-Gurion University and the Leader of Light-on-a-Chip group. She is an expert in integrated photonics, biophotonics, plasmonics and microfluidics. Dr. Alina Karabchevsky received her PhD in 2013 and was awarded with ‘Outstanding Woman in Science’ President’s award. From 2013 to 2015 she was affiliated with the Southampton University as a post-doc and further as a Research Assistant. In 2014 she was awarded with Brilliance in research prize by the Director of Optoelectronics Research Centre Prof Sir Dave Payne. From 2015, Dr. Karabchevsky is affiliated with Ben-Gurion University in which she established the State-of-Art integrated Photonics laboratory in Israel.